LIKE DARTS? 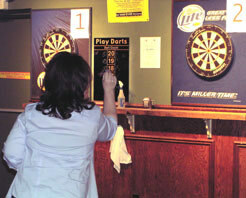 Come play on one of our 8 different boards in 2 separate dart areas. Dont have your own, you can borrow our house darts or purchase some from our dart cabinet.